Your Italian adventure wouldn’t be complete without a few days around one of the most fascinating Mediterranean islands. From the many Sicily, Italy attractions by boat we recommend sailing to medieval Cefalu, exploring the wonders of Zingaro Nature Reserve, or relaxing on Cala Rossa beach in Favignana. Party on Panarea island and cruise around Stromboli volcano, visit Siracusa, Italy or take a boat trip to Taormina and admire the majestic Mount Etna. 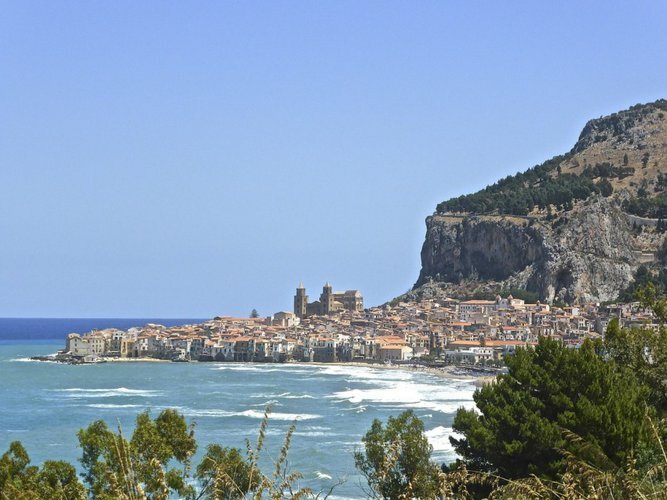 A short sailing trip from Palermo you will find the historic town of Cefalu, one of Sicily’s attractions by boat. Explore the picturesque harbor, the splendid cathedral built in the 12th century, or the beautiful sandy beaches alongside the town. 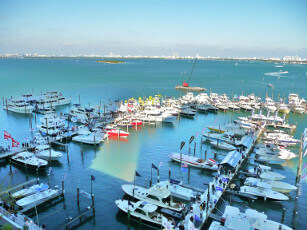 Dock your Sailo boat rental and enjoy a charming mosaic of many ancient cultures, a place where you can still feel the glory of the past while strolling along the little alleys, or rest in the shadow of sumptuous old buildings. Make a stop on your sailing trip along the coastline from Palermo to western Sicily and visit the Zingaro Nature Reserve - one of the most secluded and untouched parts of the island. The seven miles of unspoiled nature are the home to myriads of small bays, sea stacks and caves - natural wonders sculpted by the sea and the winds. 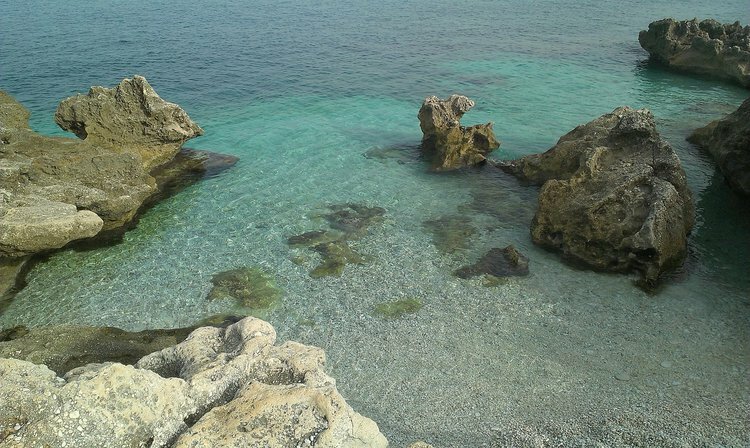 Drop your anchor 300 yards from the shore, take a swim in a sandy cove and admire the amazing “faraglioni” - the coastal rock formations eroded by the waves. Favignana island - located 5 miles off the west of Sicily - is the perfect spot for a day trip to paradise, famous for their traditional tuna fishing custom called “mattanza”. 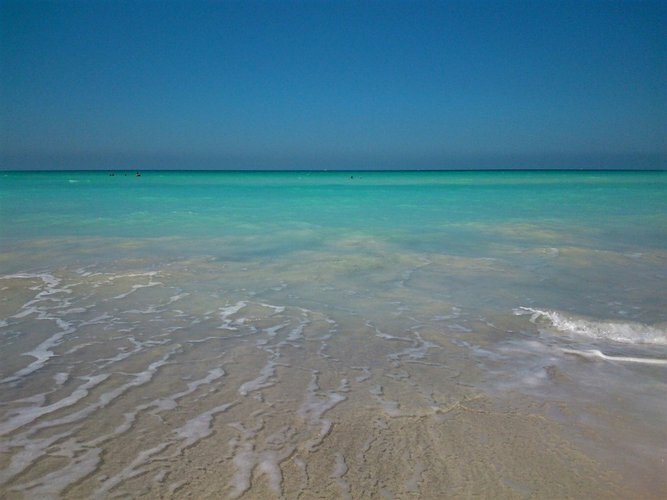 The island is most sought out for the azure, crystal-clear waters, sandy beaches and bountiful marine life which makes it one of the best places for snorkeling and diving in Sicily. Our local team of boating enthusiasts recommends Cala Rossa beach as the go-to place for a day of fun in Favignana, Sicily. If you’re thinking about a summer boating holiday in Sicily, don’t miss the chance to sail to Panarea island, Italy, part of the Aeolian islands. Over the last years, this garden island has become the place for the trendiest parties in the Mediterranean. 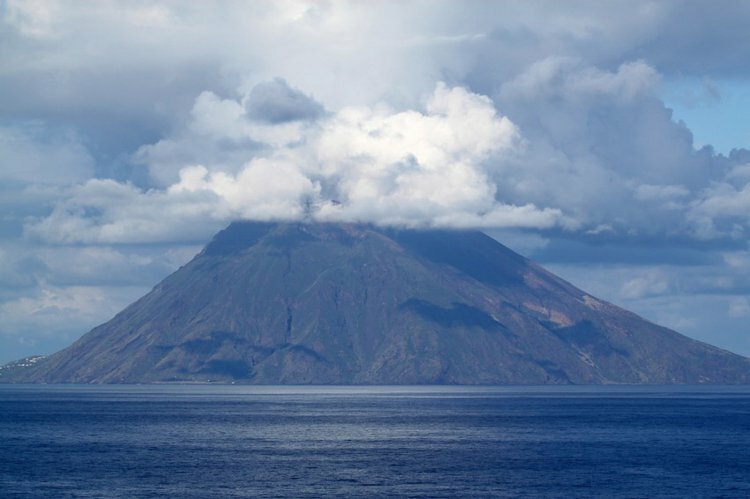 During the day you can sail around the Stromboli island and watch the volcano that erupts every day and then drop your anchor at Panarea island and get ready for an unforgettable night of party with people from all over the world. 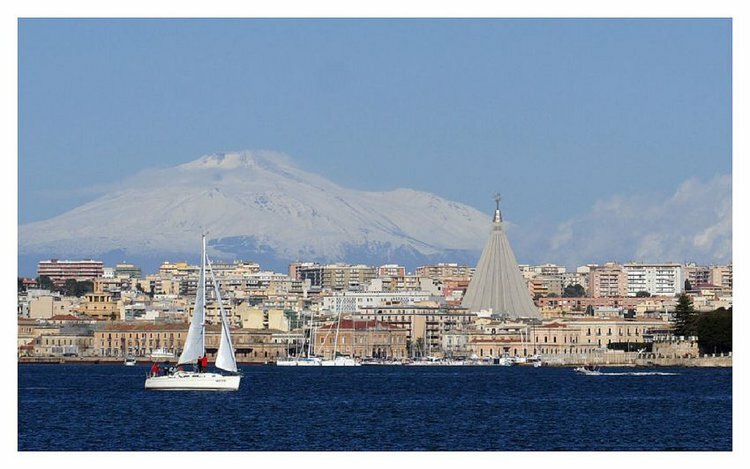 For many of our friends in Sailo’s boating community, Siracusa is the most beautiful city in Sicily. The Greek rich historical centre of Siracusa lives on an island close to mainland, against the breathtaking backdrop of Mount Etna. Dock your Sailo boat in Marina di Ortigia and explore Archimedes’ city and the amazing Sicilian Baroque architecture strongly influenced by the Greek and Roman cultures. End your day with a traditional Sicilian dinner, watching the sunset over the Gulf of Siracusa. Mount Etna and the city of Taormina are landmarks on the east coast of Sicily. The spectacular Taormina is the most popular destination for both Sicilians and international jet setters. 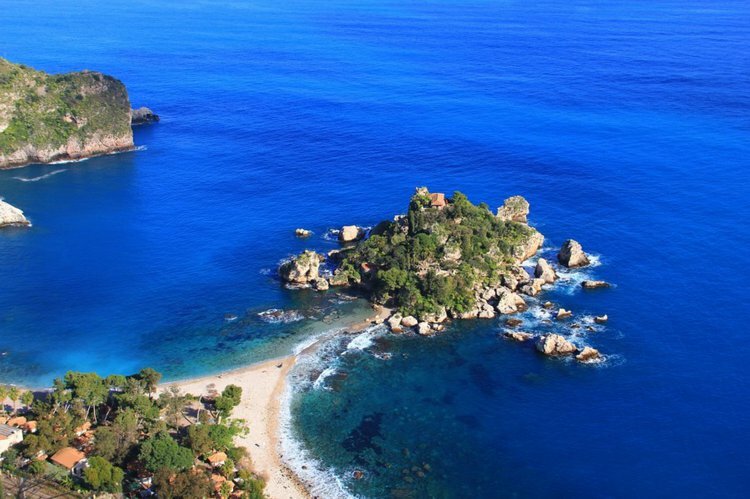 Taormina is the perfect destination for a day boat trip to the stunning ancient Greek theater and a taste of the classic Italian “dolce vita”. Not to mention the impressive view of Mount Etna - a 11,000 feet active volcano, dominating the entire island of Sicily.